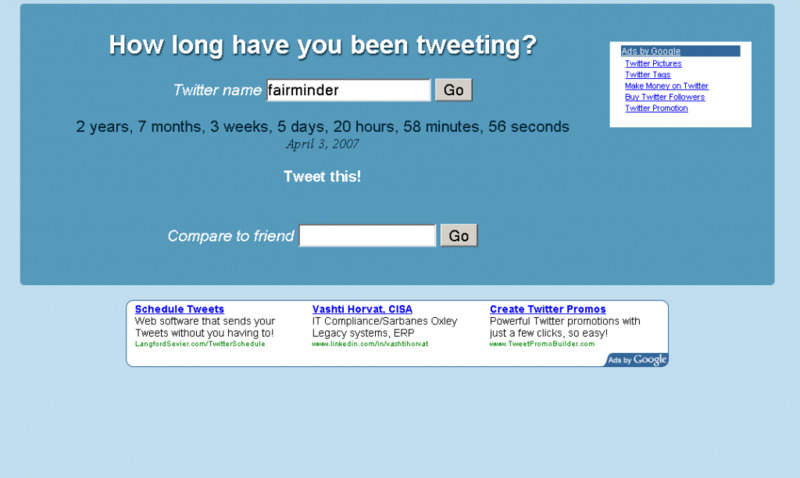 When Did You Join / How Long Have You Been on Twitter? The Twitter logo makes you feel at home (although I wonder how Twitter feels about their logo being used here). The right sidebar and white main page mimic the design of the default Twitter account page. The account avatar is retrieved for your viewing pleasure. Your Twitter date of birth is big and bold. There are two choices of how to tweet your stats. A bookmarklet is available in the sidebar. How Long Have You Been Tweeting? The second option has some great features as well. Provides an age down to the second. That is precise! A compare a friend feature is available. Nice touch. The color scheme is less appalling. Did I just say that? It shows four ads instead of one. Better revenue model I guess. 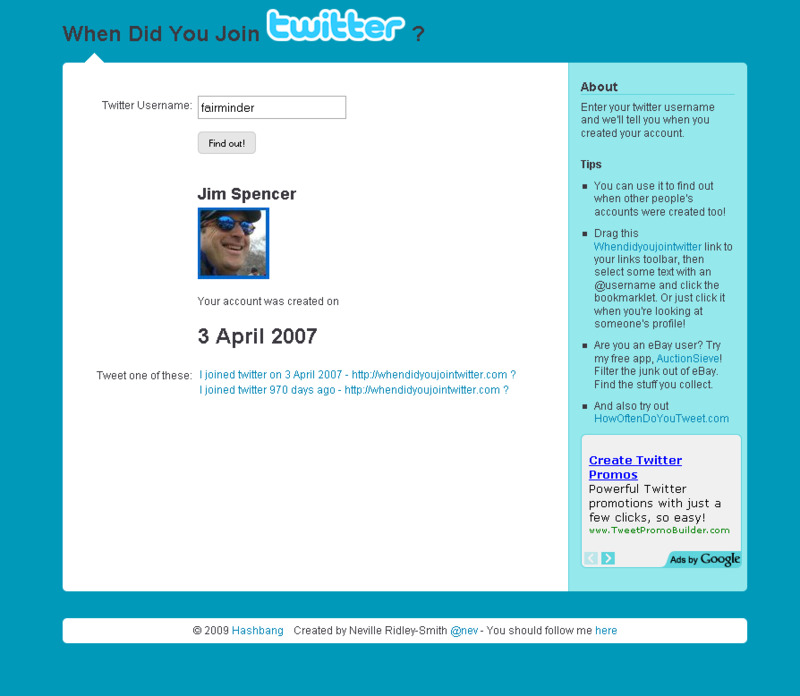 Do you know of any other sites that show you when a Twitter account was created? Tell us when you joined Twitter and why.